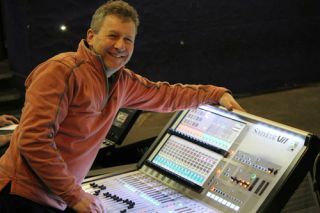 When members of Dire Straits got back together for a one-off charity event at the Albert Hall, sound engineer Matthew Manasse was asked to look after the front of house mix. Having previous connections with keyboard player Alan Clark, and being a close colleague of their original engineer Robert Collins, Matthew was an obvious choice. The response led to repeated demands for the band to play again—and so ‘The Straits’ took to the road. This culminated in a full European tour recently that saw Matthew Manasse mixing the shows on a Soundcraft Vi1. Having toured with some of the biggest names in the industry, from Dave Brubeck and Katie Melua to Rufus Wainwright and Pink, Manasse is highly regarded in the world of professional audio. However, in a world of ever-tightening budgets he had become disillusioned with the touring market and left it to concentrate on running his new venture, Bluefish Live Events, to service the corporate events market. But The Straits tour proved irresistible and as an early champion of Soundcraft’s Vi6, he had no hesitation in turning again to the company’s digital platform. The Vi1 was provided by Sound Technology, HARMAN’s distributor in the UK and ROI. The other area where the console scores highly is on the output section. Concert Sound Clair, which has a long history with both Manasse and Dire Straits, is providing a monitor system and FOH control for the tour. “As we aren’t able to carry a full PA system, CSC had given me an advanced processor as part of the package so that I could take complete control of the house systems that I’m using—but due to the number of matrix outputs on the Vi1, all with delay and EQ, I haven’t needed it once,” Manasse added. With Gareth Lewis on monitors and Nick Belshaw tour managing, the house engineer reflects on a thoroughly enjoyable tour of duty, before he again replaces the world of circuit venues (averaging out at around 1,500 capacity), to four and five star hotel conference and banqueting rooms.